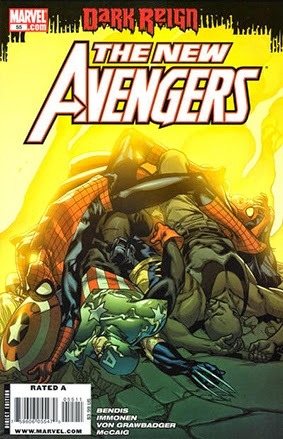 • PLOT SUMMARY: - Ultimate Spider-Man artist Stuart Immonen rejoins series regular Brian Bendis for this all-new blockbuster Avengers story. One of the Hood's gang has found a way to power drain the New Avengers and it turns the tides of the Dark Reign in ways no one would have expected it. Plus the new Sorcerer Supreme has a lot to learn, and they're going to learn it from...Spider-Man? Written by Brian Michael Bendis. Cover and art by Stuart Immonen.